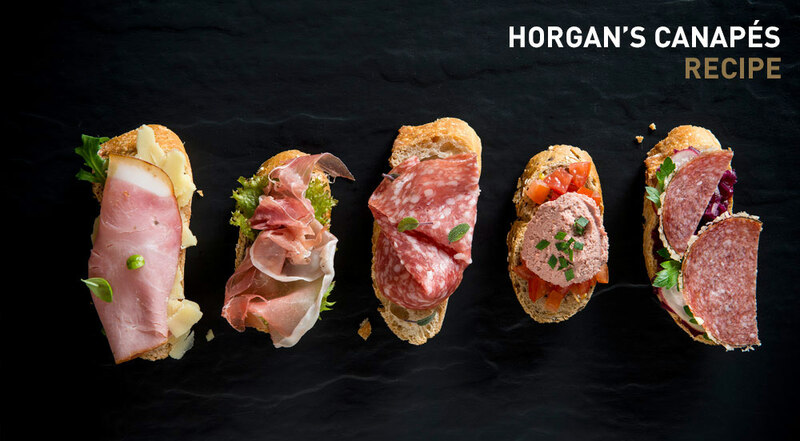 Add a touch of style to your party with Horgans selection of savoury canapé ideas. Select a slate or wood serving board that is flat and large enough to hold the selection. Horgan’s Blacky Ham, Horgan’s Vintage Cheddar, Rocket Lettuce. Horgan’s Prosciutto Crudo, Lollo Rossa Lettuce. Horgan’s Duck Pate with fresh chopped tomatoes. Horgan’s Garlic Salami with Appelrotkraut Red Cabbage.